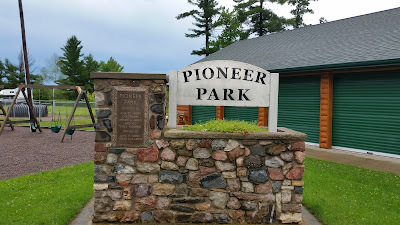 Leaving Michigan and heading west across northern Wisconsin I came to Pioneer Park in the little town of Ogema and spent a rainy overnight there. The town allows camping for up to seven days free at the park which abuts the 16 acre Mill Pond. The pond itself was pretty algae clogged but locals say you can still catch bass and panfish there.. 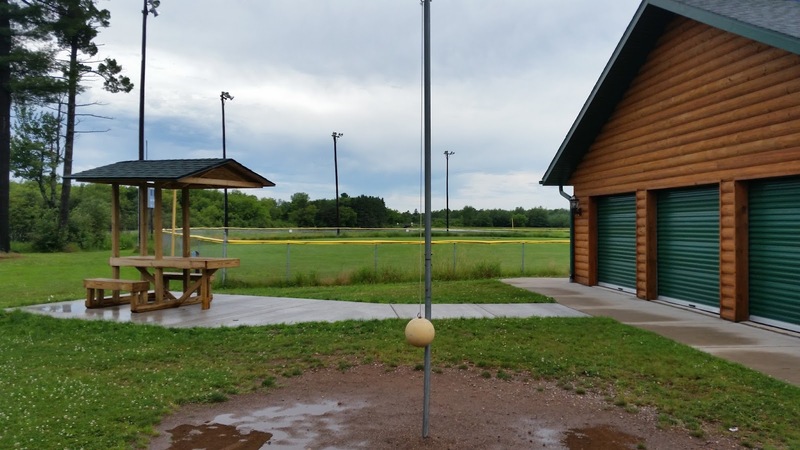 Walking distance to downtown Ogema. It appeared there were six grass covered campsites with fire rings and there were "signs" on the ground that it is also an equestrian campground. 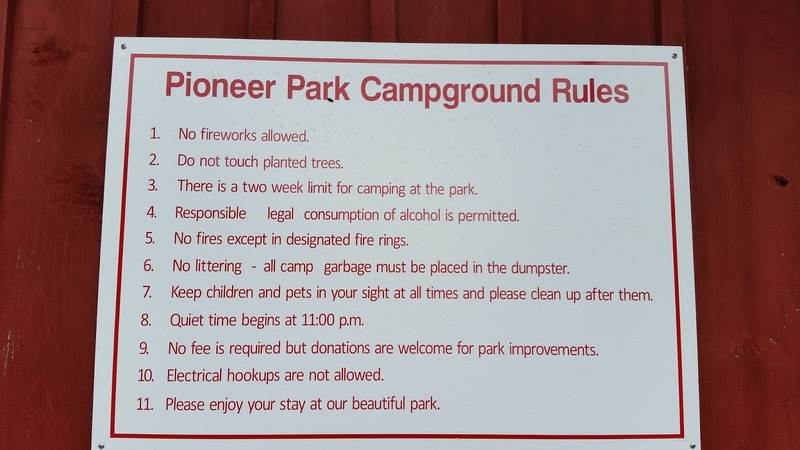 Although the park is open year round I'd have to guess that practical camping usage is May to October as the sites would be inaccessible in snow and the water in the restrooms is turned off at the end of September. "Responsible" consumption of alcohol permitted! Geese playing outfield in the park's ball diamond. A tether ball! Hours of fun! 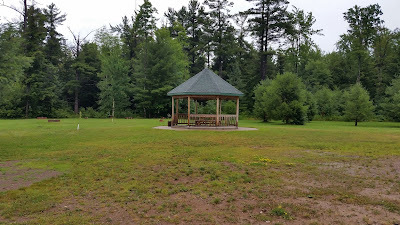 This little gazebo just kind of sat off by itself. 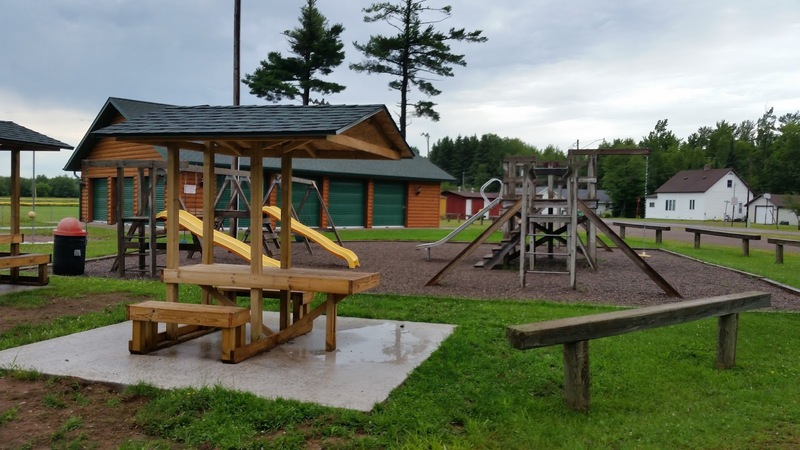 The park is at the end of the town's main street and a couple block walk takes you to the town's diner and two taverns (Ogema is really small). 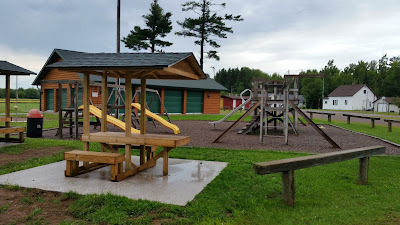 The park has a nice play area, bathrooms in the background. 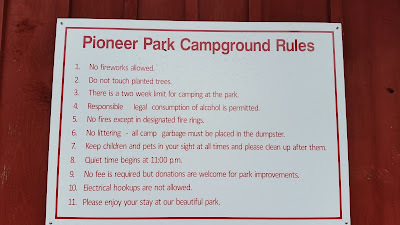 As I mentioned I only stayed on night at Pioneer Park but I enjoyed the experience and the Tank was the only RV there. 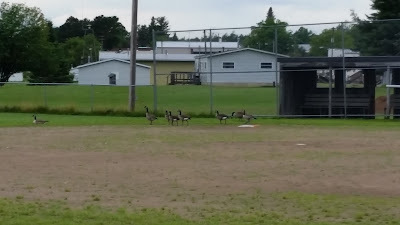 The park is far enough away from the highway that it stays really quiet. I'd come back if I'm passing through this part of Wisconsin again.